Jean-Claude Zabalia is one the Languedoc’s most talented vignerons. He spent over twenty years at Saint Martin de la Garrigue before finding the ideal terroir to start his own domaine. The grapes are all hand harvested, de-stemmed, direct pressed and vinified speparetely in stainless steel tanks with indigenous yeasts. The wine is then blended and aged on the fine lees in stainless steel tanks for three months. Deux Rocs is an enclosed valley protected from the dominating winds of the region in the isolated Vallée des Crozes between 250m-400m above sea level, higher than anyone has ever planted in the region before. Here the vines are well rooted in schist soils. 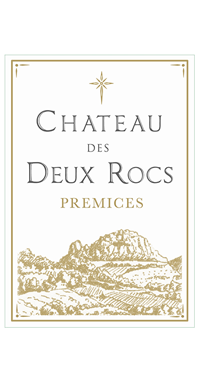 Deux Rocs is Jean-Claude’s new project, and his goal is to valorize the stunning terroir of Cabrières to produce wines of great typicity at bargain prices. The Prémices rosé, with its juicy grapefruit and wild strawberry notes along with hints of Mediterranean herbs, is the perfect summer quaffer. In the event of a one-bottle night, however, its food-pairing possibilities and ability to provide elemental pleasure make it a great choice year-round. This rosé is a blend of predominantly Cinsault (usually around 60%) followed by Syrah (25%) and Grenache Noir (15%) from a small 3.5 ha. terraced vineyard.